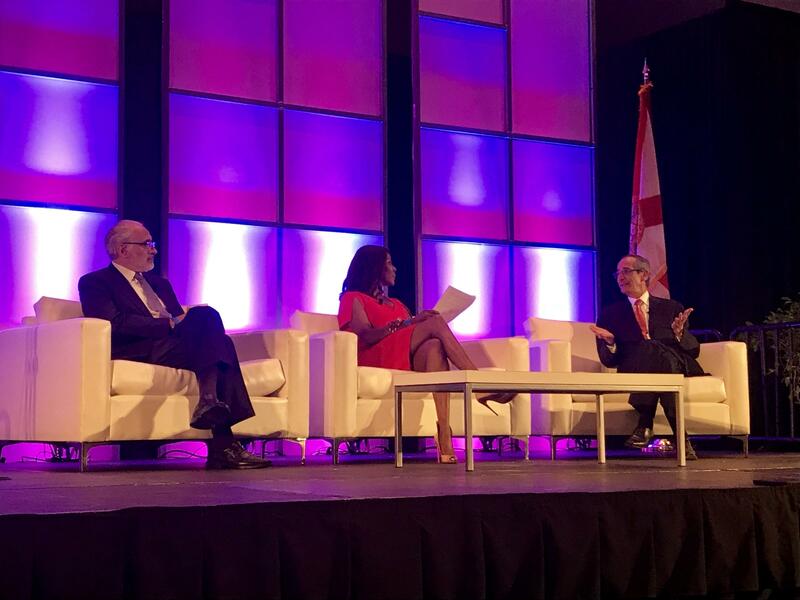 NBC6's Trina Robinson moderates the discussion between former Bolivian President Carlos Mesa, left, and former Guatemala President Alvaro Colom. 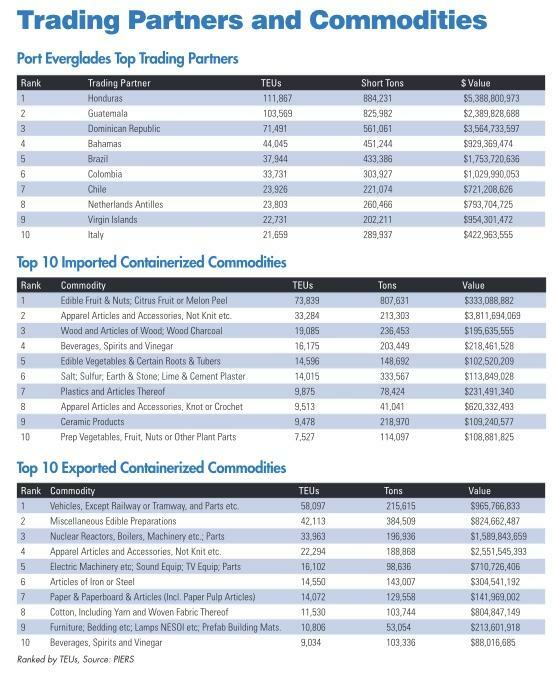 Guatemala is one of Port Everglades' biggest trade countries. Fort Lauderdale is hosting the third annual Florida International Trade and Cultural Expo, otherwise known as simply FITCE, Tuesday and Wednesday this week. Delegations of businesses and representatives from 50 countries came for the networking convention this year. It aims to connect Broward County businesses to more opportunities for growing international import and export trades. One of the convention's now staple events is the Former Presidents Luncheon, where past presidents from countries all around the globe come to talk to business leaders. 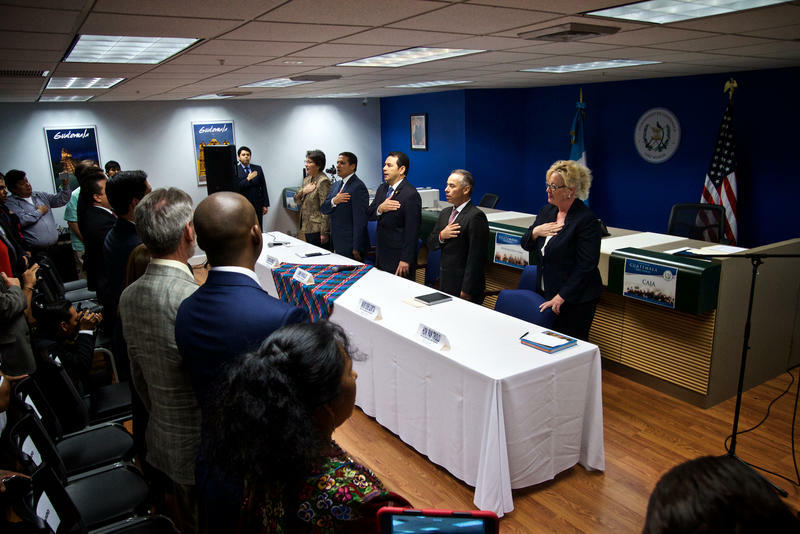 This year, the Fort Lauderdale Chamber of Commerce and FITCE brought in former Bolivia President Carlos Mesa as well as former Guatemala President Alvaro Colom. Mesa is a historian who served as Bolivia's president from 2003 to 2005. His advice for the business hopefuls trying to connect their work to the Latin American economy? International investments. Mesa explained that while important growth has happened in Bolivia over the last 10 years, its future economic stability will need more trade based on innovation, technology and tourism from North America, and namely South Florida. But this trade relationship is symbolic of a stronger connection. "South Florida is proof of the bridge between South America, Caribbean, Central America and North America," he said. "The idea is to build bridges, not build walls. And that's very important, that's very very important. Bridge is better than walls." Colom, who served from 2008 to 2012 in Guatemala, explained that this connection also applies to his country. He said Guatemala's relationship with South Florida is significant for his country's prosperity in more ways than just economic. "It's fundamental, the relationship between the United States and Guatemala, and there are three topics in terms of reducing the corruption, the security and the fight against the drug cartels," he said. "But these are in addition to the trade relationship that is a fundamental strategy between Guatemala and the United States." The two former presidents also focused their roundtable talk on what they accomplished in their terms to promote peace, which they agree is important for keeping stability in the international community on many levels in addition to trade. Broward County Mayor Barbara Sharief honored both former presidents after the presentation by presenting them with symbolic keys to the county. People lined up in Lake Worth to see the president Thursday. But not the one that you are thinking. Guatemalan President Jimmy Morales cut the ribbon at Palm Beach County’s new Guatemalan consulate. 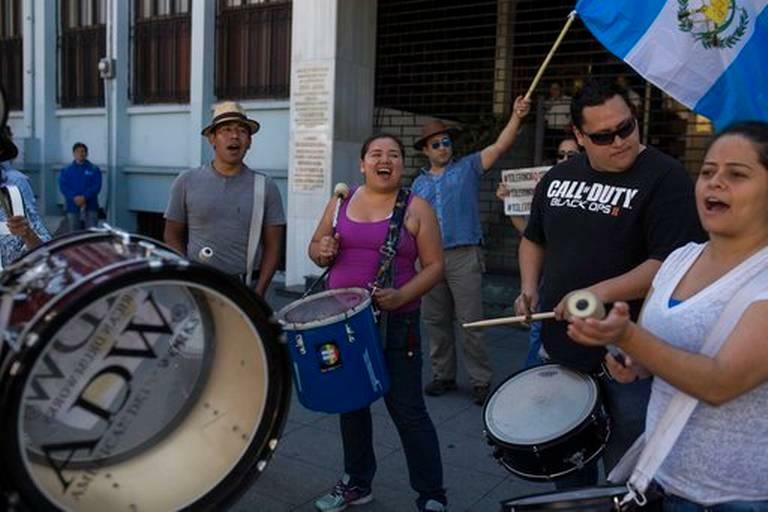 Officials estimate more than 55,000 Guatemalans live in the county. They’ll now be able to get passports, consular IDs and birth certificates without traveling to Miami. 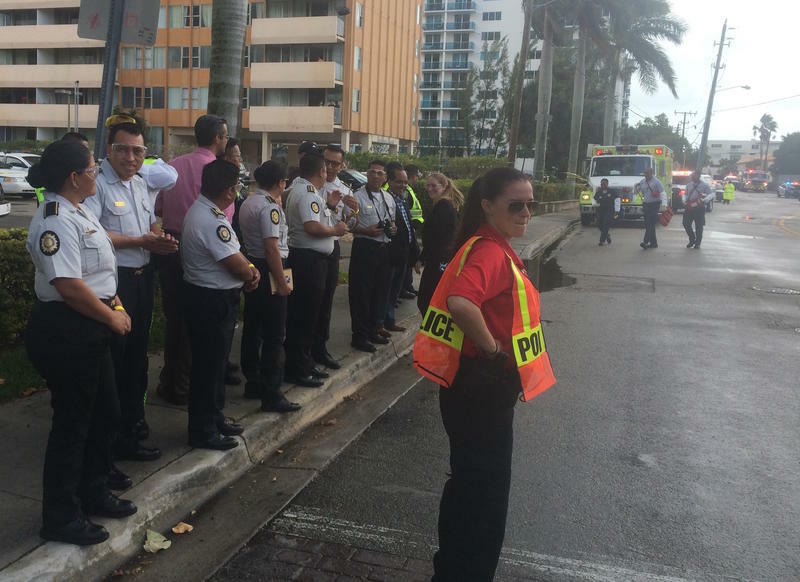 But the consulate will do more than that, says Miami Consul General Rosa Maria Merida De Mora.